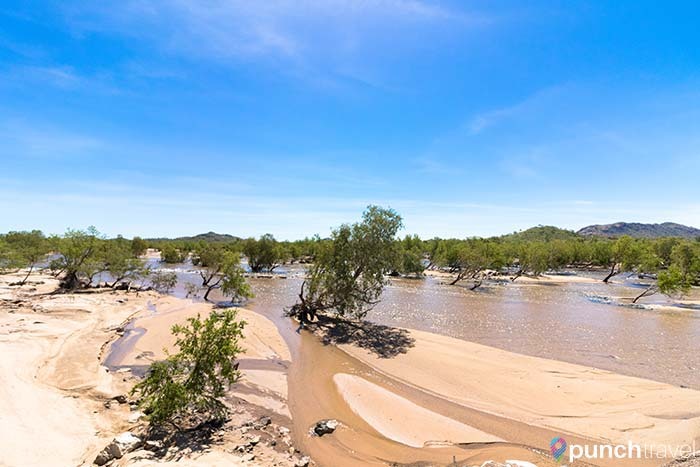 The inland route from Darwin to Broome crosses through Australia’s wildest and most remote landscapes. The region is saturated with UNESCO World Heritage national parks and a rich anthropological history. The road joins the Great Savannah Way which links Cairns and Broome via Katherine. The northern part of Australia is known as the Top End. Here the year is defined by two seasons: the wet season and the dry season. The dry season, from May to October is the area’s busy tourist season. Daytime temperatures are mild, the roads are clear, and the crocodiles are tucked further away downstream. Inadvertently, we ended up in the Top End during the wet season (November – April). As the name suggests, this time of year brings torrential daily downpours, flooding of roads and increased crocodile risk. We spent a few harrowing nights in our camper van in the midst of lightning, wind, and heavy rain. A lot of attractions are closed during the wet season as many rural roads become washed out. However the wet season also brings lush landscapes and gushing waterfalls. We spent over a week in Darwin, and by the end of it I was itching to escape the tempestuous weather of the tropical Northern Territory and continue driving on the coast. But I was surprised to find some of the most amazing flora and fauna on the road from Darwin to Broome. 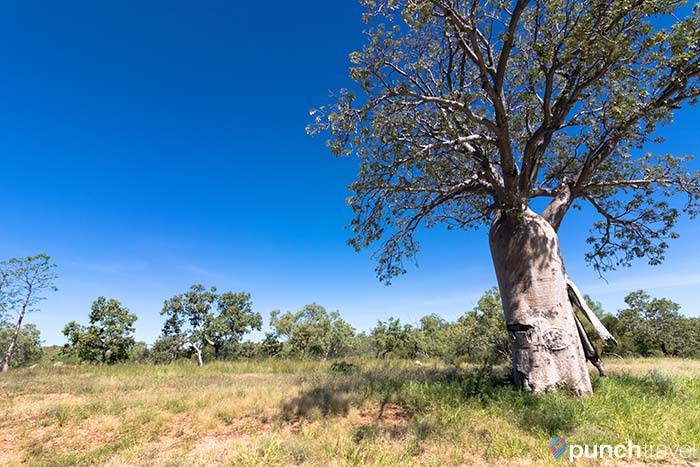 The boab is endemic to Australia and the only baobab to grow in Australia. To see one you have to visit the Kimberley region of Western Australia. It was along this road that we saw our first wild emu crossing the road. We shared the road with herds of cows and countless wallabies. In the evening we were visited by a bilby, a nocturnal marsupial found in the desert. The route from Darwin to Broome is long, with vast expanses of wilderness untouched by modern man. Traversing this great terrain today still feels as if one is an early explorer discovering new land. Although the long drive can be a test of patience, the unique and majestic landscape more than makes up for it. 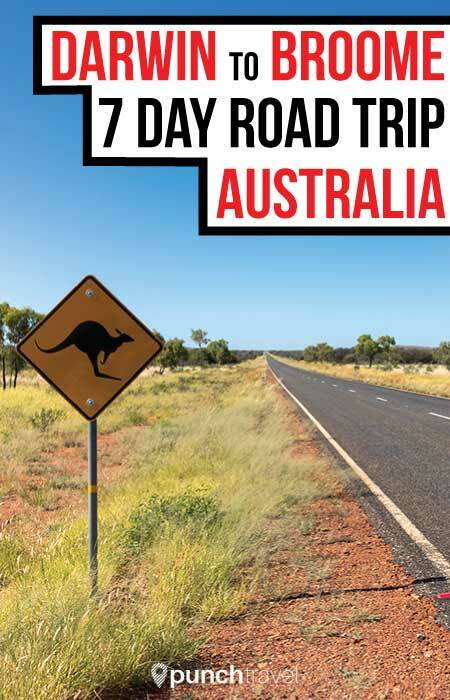 Here are our recommendations for what to see along the way from Darwin to Broome. Many attractions are closed during the wet season, like the Mindil Beach Sunset Market or Deckchair Cinema. However there are still a few activities that you can do during the wet season. Darwin’s waterfront is home to several lively restaurants and hip bars, like Hot Tamale and Precinct at the Vibe Hotel. 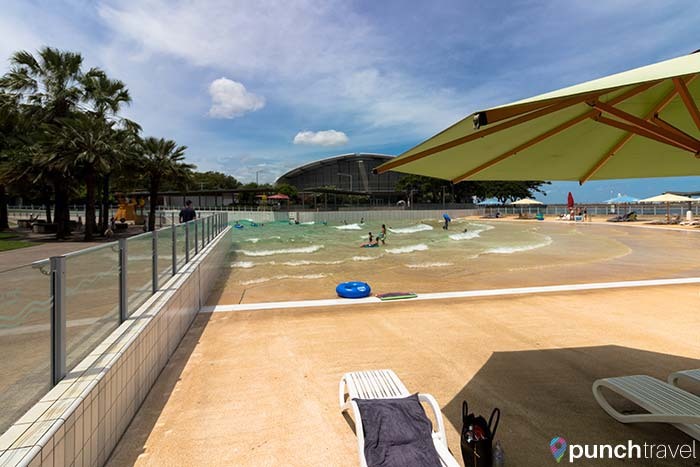 For families, the wave pool and adjacent beach make for a fun afternoon. On a rainy day, visit the excellent Museum and Gallery of the Northern Territory or a take a free tour of the Parliament building. If crocodiles are your thing, don’t miss the chance to get up close and personal at Crocosaurus Cove. 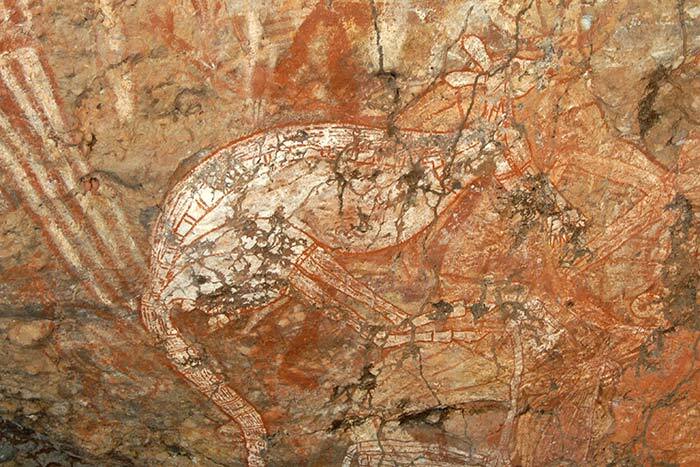 Kakadu National Park, is a UNESCO World Heritage site and also Australia’s largest national park. Within the park are cave paintings and other archaeological sites that record the region’s inhabitants dating back to more than 40,000 years ago. Explore the diverse ecosystem by air, road or boat. 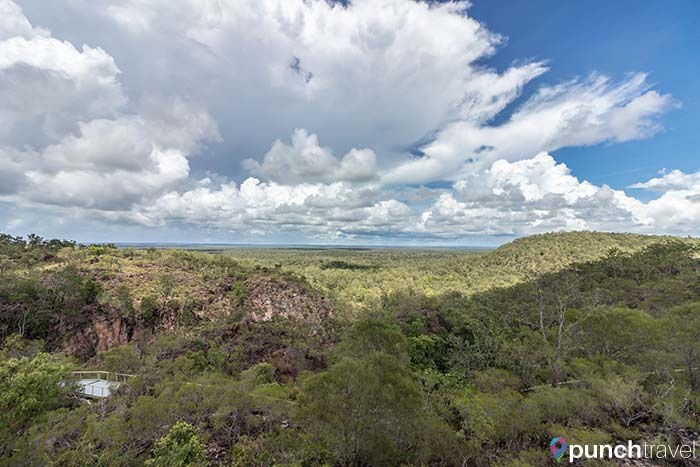 Driving the 735-kilometre route from Darwin through Kakadu National Park and Nitmiluk National Park before returning via Litchfield National Park is known as Nature’s Way loop. 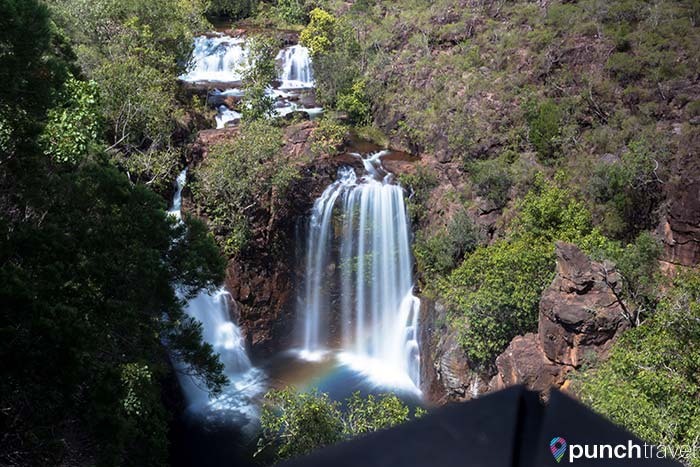 The stunning waterfalls and plunge pools of Litchfield National Park will take your breath away. Hiking trails for all levels allow you to explore the waterways, rocky outcrops and scenic lookouts. 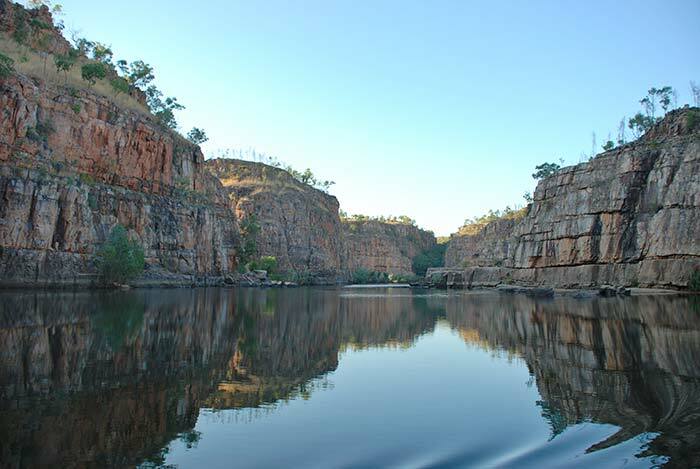 The main attraction of Nitmiluk National Park is Katherine Gorge. 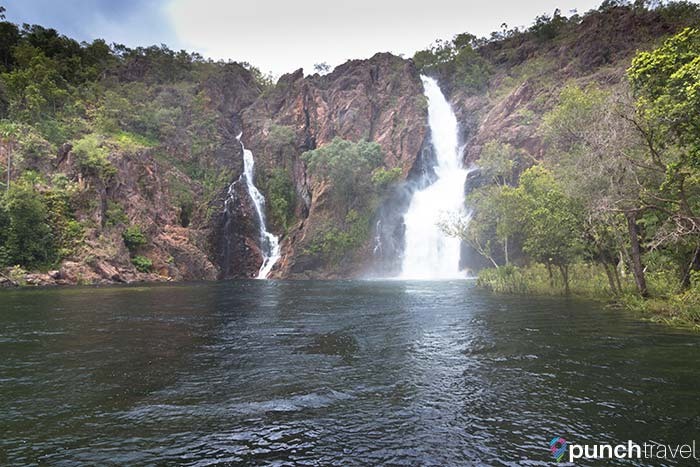 Carved from the Katherine River, it consists of thirteen gorges, waterfalls and pools. Although there are scenic lookouts along the way, the best way to see the gorges is by taking a river cruise. 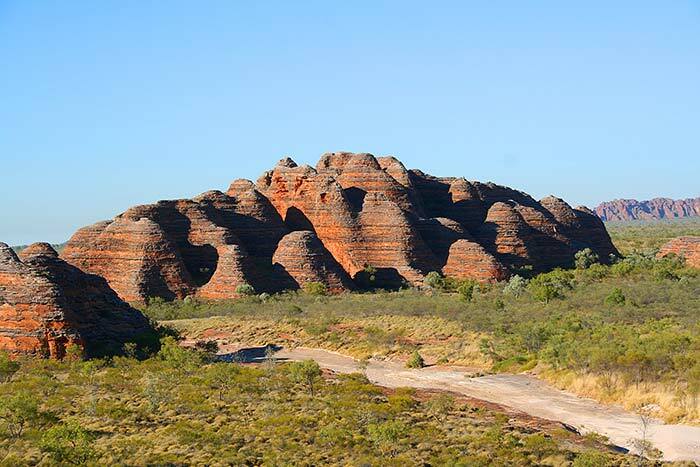 Along the way, visit the picturesque mountains known as the Bungle Bungles Range. 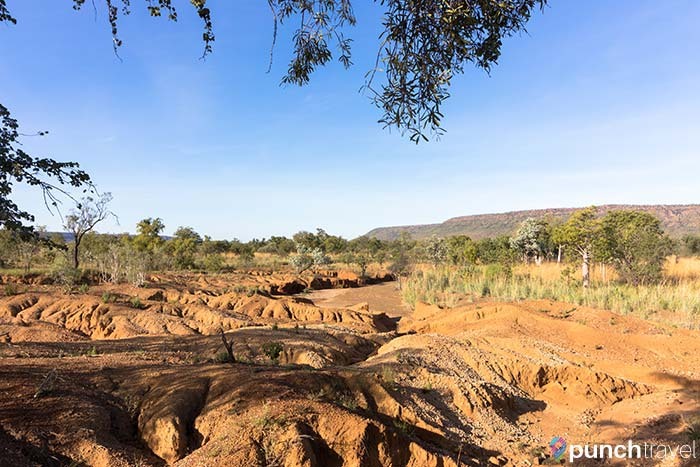 The maze of orange and black striped domes in Purnululu National Park is one of Australia’s most unusual and fascinating landforms. A 4WD is recommended if you are planning on hiking to Cathedral Gorge or Echidna Chasm. Broome is a laidback suburb in Western Australia, where the Indian Ocean meets Australia’s shores. 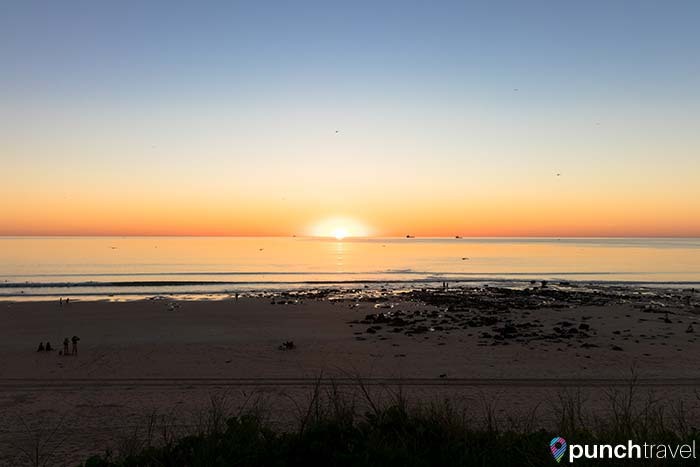 Join the crowds at Cable Beach to witness an unforgettable sunset. #PROTIP: At the NT/WA border you’ll need to stop for a fruit fly inspection. Any fresh fruit or vegetables will be seized. Alternatively you can cook them or chop up and cover in vinegar.